O’Donnell Park in Letterkenny is the venue for next Sunday’s game. Roscommon saw off Down in Longford last weekend. ROSCOMMON HEAD TO Letterkenny on Sunday chasing a fourth successive Division 1 victory in the Allianz football league. After seeing off Kerry, Cork and Down in their last three games, it is Donegal who are next up for Kevin McStay and Fergal O’Donnell’s side. And the Rossies have named an unchanged team from that which saw off Down by 1-12 to 0-6 last Sunday. Email “The Roscommon side that will head to Donegal chasing a fourth successive win”. 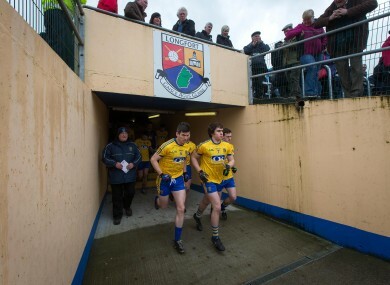 Feedback on “The Roscommon side that will head to Donegal chasing a fourth successive win”.